Proposition 65, California’s law requiring labels on products and areas containing chemicals “known to the state of California to cause cancer or reproductive harm” has evolved into a tool for trial lawyers to earn millions at the expense of small businesses. Proving a business’ innocence in court is often more expensive and time-consuming than simply paying lawyers to settle their claims. 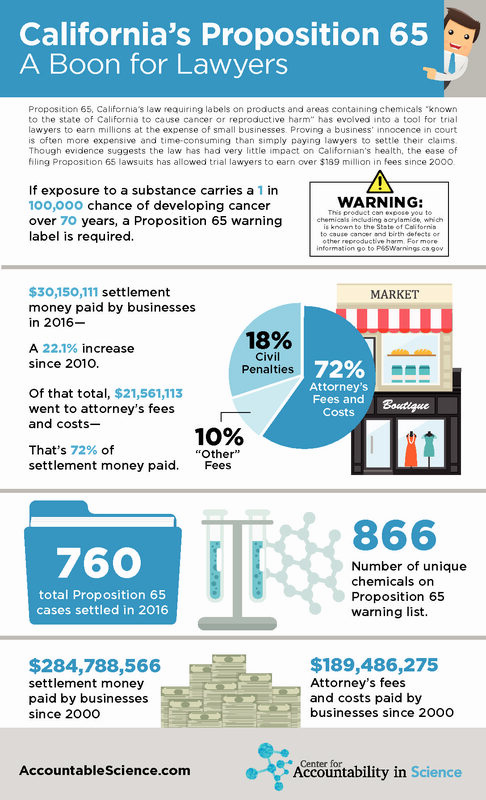 Though evidence suggests the law has had very little impact on Californian’s health, the ease of filing Proposition 65 lawsuits has allowed trial lawyers to earn over $150 million in fees since 2000. We’ve put together a fact sheet showing how much money California lawyers are extracting from businesses every year and explaining that the labels are so ubiquitous, they’re basically useless. 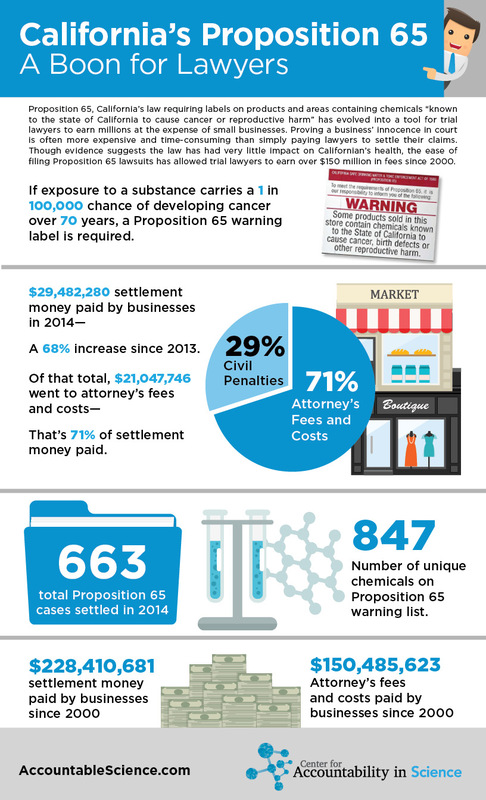 For a more in-depth look at how Proposition 65 impacts businesses, read our 2018 Proposition 65 State Impact Report. Watch the videos below for a sampling of how Proposition 65 affects small business owners around the country. 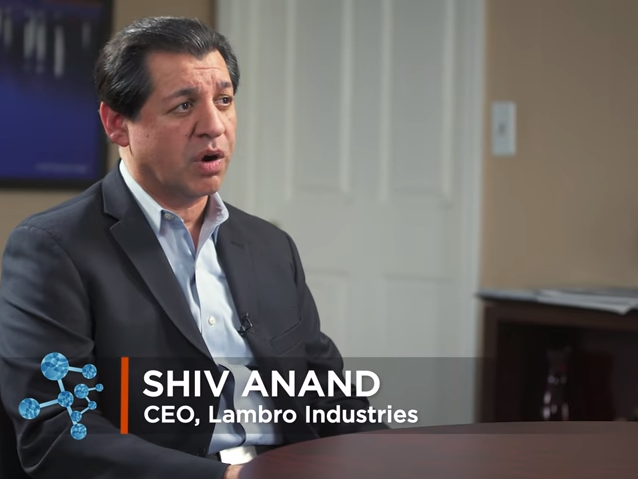 Shiv Anand, CEO of New York-based Lambro Industries, explains how a predatory lawyer shook down his company for thousands of dollars. 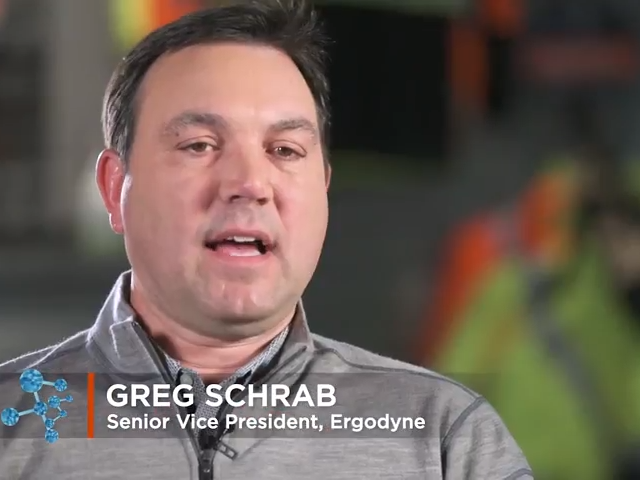 Greg Schrab, Senior Vice President of Minnesota-based Ergodyne, explains how Proposition 65 has cost his company more than $250,000 and unnecessarily scared his consumers. 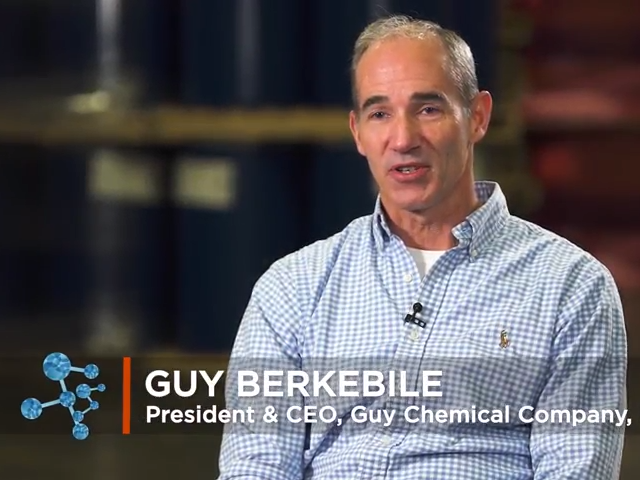 Guy Berkebile, President and CEO of Pennsylvania-based chemical sealant company Guy Chemical, explains how Proposition 65 costs comsumers thousands of dollars without their knowledge. 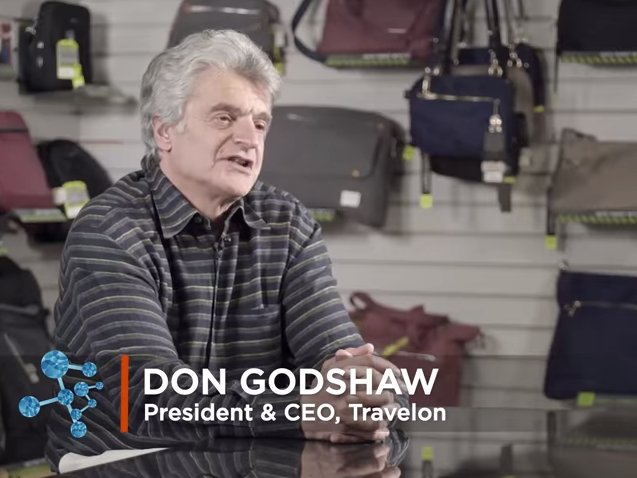 Don Godshaw, President and CEO of Travelon, explains how a Proposition 65 lawsuit affected his company. 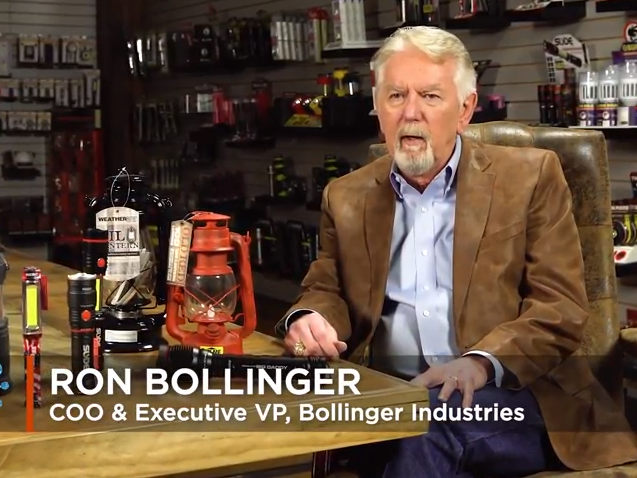 Ron Bollinger, CEO and Executive Vice President of Bollinger Industries, explains how Proposition 65 settlements have affected his Texas-based sporting goods company. 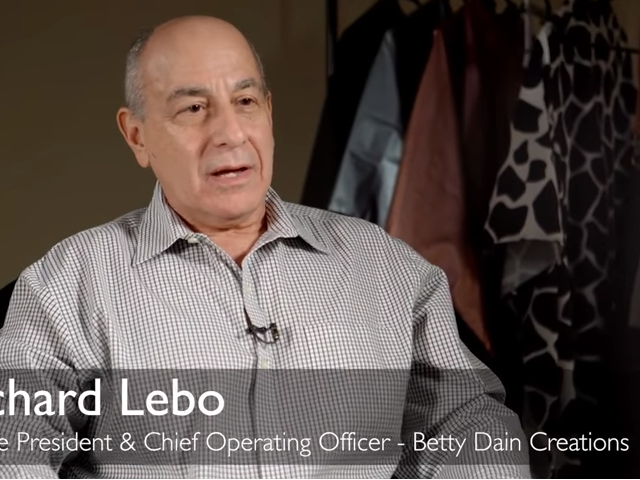 Richard Lebo, President and COO of Florida-based Betty Dain Creations explains how a Proposition 65 settlement affected his company.